A big thank you to everyone’s who has supported Paper Panache with purchases (and views! So many page views!!! View it again here!). 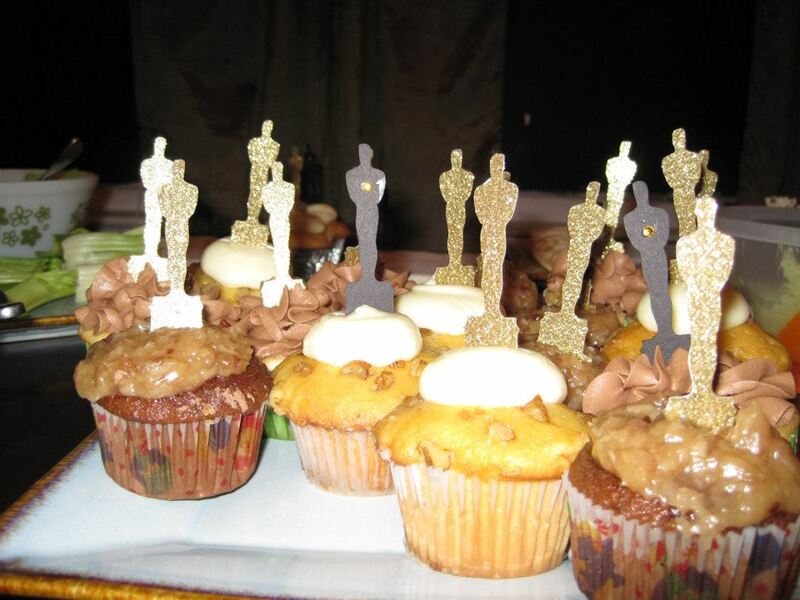 My latest offering, mini-Oscars, were good sellers and a big hit at the Oscar party I attended Sunday at the lovely abode of new friends Emily and Hans. These Oscars were so versatile, playing a starring role as cupcake toppers and as a necklace that garnered enough votes to propel me into the winner’s circle for Best Dressed. Take that, Hollywood divas, their stylists, and jewelry suppliers. All you really need to be fabulous is laser cut paper (and staples and yarn!). A DIY tutorial coming soon!